What do we have inside of our cookie jar?Take a look! 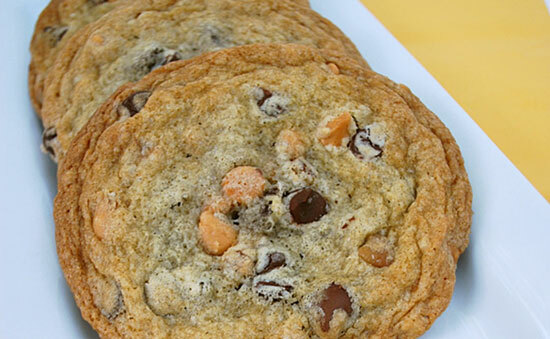 The first cookie created takes the company namesake. Sweet, buttery, rich, chewy, crunchy, decadent – yeah, that sums it up nicely. Inside this treasure is a blend of the finest semi-sweet, milk-chocolate and butterscotch chips, along with Texas pecans. A crowd pleaser! 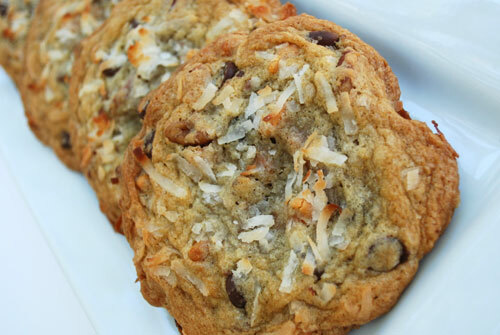 To order, call 512-574-0789 or email melissa@sydaliescookies.com. 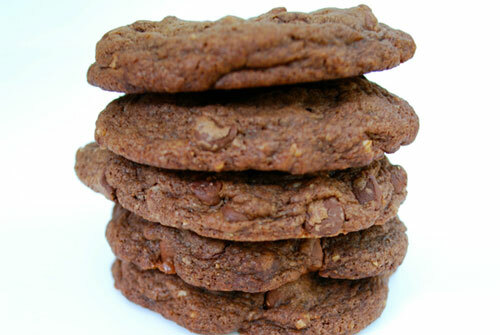 This rich cocoa based gem explodes even more with additional semi and milk chocolate chips. Chocolate, chocolate and more chocolate. This rich cocoa based gem explodes even more with additional semi and milk chocolate chips. Now that’s the bomb! Grated dark chocolate, semi-sweet chips, a tad of milk chocolate, savory peanut butter chips and crushed pretzel twists. At first glance, it’s hard to know what is all in this beautiful cookie. There are tantalizing flavors throughout – such as premium grated dark chocolate, semi-sweet chips, a tad of milk chocolate, savory peanut butter chips finished off with crushed pretzel twists. Twist on! 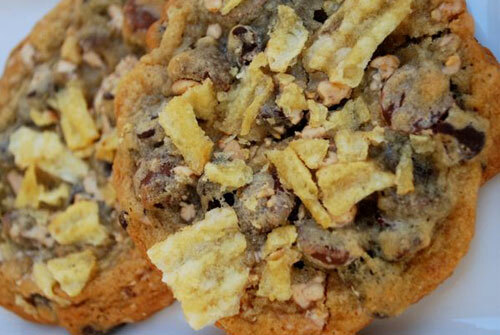 We did not create the chocolate covered potato chip; but we did try to re-create its awesomeness in our own version. Savor some semi-sweet morsels, milk chocolate (yes, please), broken toffee bits and of course crushed crinkle potato chips. What a combo! 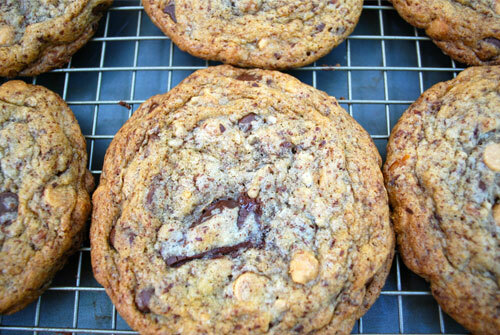 Semi sweet chocolate chips, butterscotch, some pecans….and naturally…. coconut! You won’t want to “skipper” these! Just sit right back and you’ll hear a tale….a tale of some awesome chips! 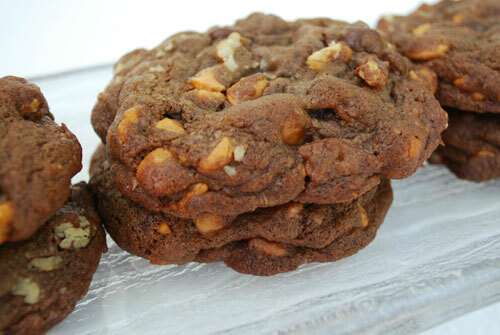 Make that semi sweet chocolate chips, butterscotch, some pecans….and naturally…. coconut! You won’t want to “skipper” these! Rich gourmet cocoa, lots of butterscotch chips, additional semi-sweets and pecans. The Cocoa-Butter will take you away! Think rich. Think decadent. Think, why have I never had a cookie like this before. With rich gourmet cocoa, lots of butterscotch chips, additional semi-sweets and pecans, the Cocoa-Butter will take you away! Indulge! Don’t see a flavor you like? Call or email for custom flavors and prices.